Most of them haven't checked into their flights to Puerto Rico yet but the students from the University at Buffalo School of Law who are providing legal services to the island's residents say their legal paths have already been changed forever as a result. Professor Kim Connolly teaches at the Puerto Rico Recovery Assistance Legal Clinic. Photos: Meredith Forrest Kulwicki/University at Buffalo. 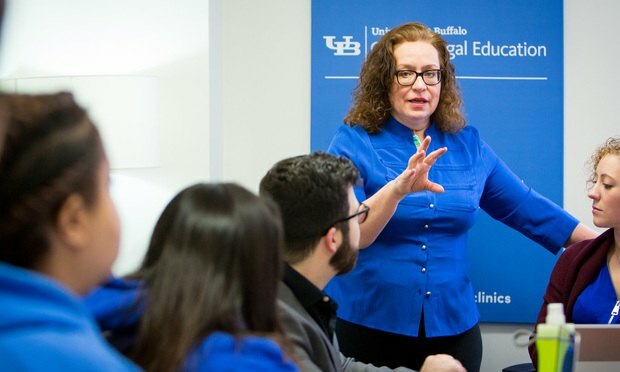 Most of them haven’t checked into their flights to Puerto Rico yet but the students from the University at Buffalo School of Law who are providing legal services to the island’s residents say their legal paths have already been changed forever as a result.